Women and their skin are like best friends. Even beyond the gender barrier, taking care of one’s skin remains a highlight for people who want to ensure good health and proper hygiene. For most women, however, taking care of their skin is tantamount to an overall appearance of beauty. As a family clinic in Arlington, Texas, we have been treating many women with diverse skin conditions. We want to give you a quick lookup on the five most common skin issues that women face and their causes. By knowing these, you can treat these conditions proactively. 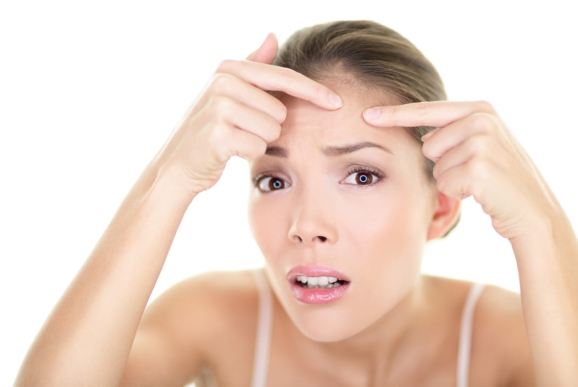 Have you noticed pimples on your body, except they’re bigger, more oily, more infected, and more widespread? That’s acne. It’s a condition caused by a bacteria called P.acnes, which gives it the red color and inflamed look. Having skin cells that are sticky and clog your skin pores, too much oil production, and an excessive amount of the hormone androgen can make it worse. Have you noticed brown blotches on your face? Some people call them liver spots. But they have nothing to do with your liver at all. Others call them ages spots. These are caused by ultraviolet damage when you’re too exposed to sunlight. UV rays destroy melanin-producing cells, which are responsible for your skin color. As a result, your skin gets an unequal amount of pigment especially on the areas frequently exposed to the sun. These are the remnants of wounds from surgery, injury, or even acne. Some scars can look unsightly. If you’re bothered by your scars, you can have them lightened or erased. Get a checkup from a medical clinic in Texas so dermatologists can advise you on which treatment options to take. These are skin discolorations that appear on the body since birth. They are caused by an overgrowth of pigment-producing cells in the skin. Many birthmarks disappear over time, and most of them pose little risk to your health. But some birthmarks might need some evaluation from a dermatologist at a family medical clinic. A dermatologist can check if a particular birthmark could potentially develop into a serious skin disorder. You might have seen it on your own face. Perhaps there’s a characteristic red flush on your cheeks and nose. There might be bumps that look like acne and appear around your eyes and nose. Those are signs of rosacea. This condition has no cure, but a dermatologist can help you manage it or keep it from getting worse. Do you seek treatment for a skin condition? Visit us at Treat Now Family Clinic to get dermatologists’ advice on possible treatments. Call us today to set an appointment. This entry was posted in Skin Care and tagged healthcare, Skin Issues, Younger Looking Skin. Bookmark the permalink.